With the unique ability to control time with your movements, the embodied gameplay of SUPERHOT VR (2016) can make you feel like you’re in The Matrix. Available on all major VR platforms, the game has come to be known as a top VR title. 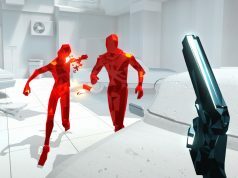 Since then, the indie studio behind the game has been relatively quiet about the potential for future VR projects as they remain heads down on a standalone expansion called SUPERHOT: MIND CONTROL DELETE. While the studio isn’t currently building Mind Control Delete for VR, a new interview suggests they haven’t written off the possibility. A VR version of Mind Control Delete might not be completely off the table however. Speaking to the official Vive Blog—for the occasion of Superhot VR becoming available on Viveport—PR Manager Szymon Krukowski of the SUPERHOT Team indicates that consumer interest will play a factor in whether the expansion sees VR support. “Honestly for now we are focusing on MIND CONTROL DELETE but at the same time we never really left VR. If there is enough interest in [MIND CONTROL DELETE] we might try recreating something similar for VR,” Krukowski said. When asked what’s next for the studio, Krukowski confirmed there are some prototypes in the works beyond Mind Control Delete. It’s our understanding that the original development of Superhot VR was funded by Oculus Studios; given the apparent success of that project, it’s possible the pair are working together again on something separate from Mind Control Delete, though nothing has been announced. Maybe we’ll hear something at Oculus’ Connect developer conference later this month? I’m not really a fan of this on-off not fully committed to VR attitude. Developer “might” bring VR IF next release (NON-VR) sells enough. I liked Superhot but I never fully committed to it because of its one-hour core content (tried it and got a refund on steam). Meanwhile there are plenty of small name and bigger name developers who are fully committed to VR. in the nicest way i can, i disagree. 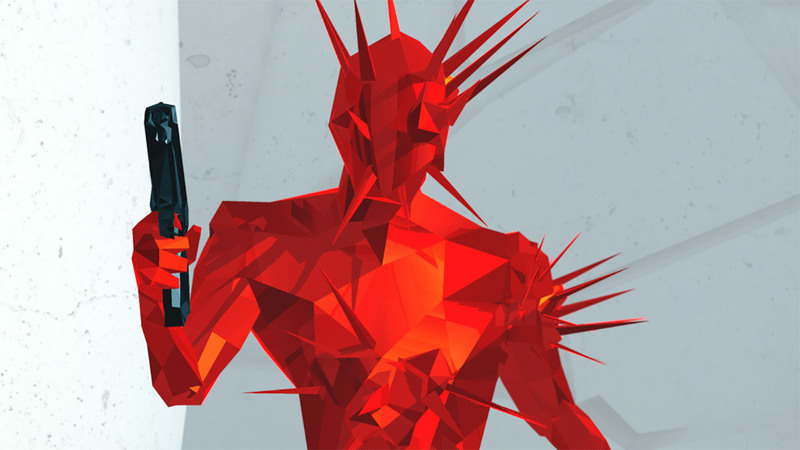 Superhot is well worth the money paid for it, and its a versatile pc based game. we were lucky they brought it to vr because like PaulDowns said less than 2% of their users even have vr. From a business perspective thats a lot of hours spent on the clock for something that isnt going to return the value on the market. I don’t really understand the thinking that it isn’t worth adapting to VR. The studio has already developed all of the game assets, levels, etc. To port it to VR, they need to add VR-compatible menus and adapt the control scheme to VR controllers. There may be issues with gameplay being too easy or hard in VR, or it may not have the right pacing, but does that mean it isn’t worth doing? Its a little more complicated then that.. There’s a lot of changes that need to be implemented from a core level after menus and control schemes. Not to mention optimizations because of the difference in rendering from pc – vr. Its a lot of work that non-vr-devs often assume is a quick change. Thats still hours and hours of work deducted from their main project/goals which = money. if that money cant be made up in sales, it isn’t worth doing. and when vr sales are less than 2% its not worth doing. So any vr games we get are pretty much out of good grace and a gamble at this time. unless oculus/sony pays you to develop. I’m sure you are right. They’ve determined that it isn’t profitable at this time to invest in porting to VR. Unfortunately, I have lost almost all interest in 2D gaming and will not purchase this game if it is not in VR. jj “This user is blocked.” <<< doesn't know he's blocked? From Discus: “Q: If I block someone, will they be able to see my posts? Lol! Thanks for explaining. I didn’t grasp how it worked. Not really impressed with DisQus system. A block should be both ways. It’s really just a “mute” in this case. “in the nicest way i can, i disagree. I can’t really disagree with your points about superhot. VR is still a NICHE market and will be for years to come. I think part of the annoyance from my perspective is that they chose at some point to develop for VR… It was their first game and it won awards. Game development is a tough industry to be in whether you’re working for top game publishers or just the little lone developer. Remember when Codemasters brought Dirt Rally to VR? I understand it didn’t bring a big return due to the niche market VR represents… nevertheless… annoying they didn’t bother to commit. The question is… for a developer who brought VR to Superhot…how much technical investment does it take to bring their next game to VR? Should a developer have an expectation of massive sales and a great return on their VR game? When VR represents a small percentage of the gaming market then the developer should realise before they begin that this or that VR game won’t bring the revenue a tiny 2d rectangle version might bring. Having said that… Can a VR game be profitable enough at this stage? 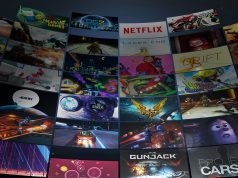 Beatsaber generated the most sales of any VR game at launch. yeah im mostly curious whether they like injected vr “ontop” of what they had originally, or really replaced parts down to the core. I guess what im saying is if the vr edition was “ontop” of the original, these next editions might not really have any vr code in them and it could be starting from scratch in some sense. other then that I agree its an odd time and almost impossible for indie vr devs. Yup, I chatted with one lone developer who was disappointed with sales of his VR racing game. His next game is non-VR but he says he might go back to his VR game and add new content if he generates enough income. dang so did they continue with the vr version for a bases in the next pc otherwise theyll have to start over again. and thats SOOO much more than i thought they made.. so the risk/reward situation doesnt make sense anymore. Yup, exactly. That sort of earning for a startup developer who entered a VR design competition is pretty good. They are familiar with raising money on kickstarter as well. I don’t think it would hurt them to continue with VR… that is if they’re genuine fans of it. On a slightly different note… I was amazed to learn that valve have a very casual approach to work where game developers decide what they’re interested in developing at the HQ. There’s no command from the boss to sit and develop a particular game. They have an entirely random approach. So I guess none of the devs at valve are interested in the Half Life series. For me Superhot VR is the best game ever. I played it for months until I sold my headset. Why did you sell your headset? How long did you have your headset and which other games did you play? Superhot is certainly a great showcase for VR. I sold my headset after one year because I like 6DOF and room scale VR but realized that I do not like cables on my head. I also played Farpoint and Rush of Blood. I bought more (Tethered, Sprint Vector, Eagle Flight, Batman Arkham, among others) but didn’t play those much. Right now, I’m waiting for Santa Cruz. Cables are a pain. If Santa crause is entirely mobile powered then I will give it a miss. What we need is a VR system capable of mobile and PC connectivity. My personal impression is that the computing power of a PC does not add much to the fun of VR. Those apps I want to use have simple graphics: Superhot, Beat Saber, Windlands 2, Vacation Simulation, Rick and Morty, Google Earth, Tilt Brush. All depends on the type of content. Simulation fans generally need higher-end graphics… DCS World, IL-2 aim for photorealism. Elite Dangerous. There are great games with simple graphics but for me I wouldn’t want to be limited only to that type of game. I’ve been avoiding simulation games ever since I realized how unhealthy a sedentary lifestyle is. It’s all about balance… Someone who plays only seated games and gets no exercise is leading a sedentary lifestyle (as many pancake gamers do). I play BoxVR every day with 1kg wrist weights. I do weights and cycle. Avoiding simulation is not an option for me. I bought my first flight sim in 1981. I agree: It depends on how your day looks like. I’m a software developer. So I need to compensate a lot of sitting. Aha! Yes, software developing involves a lot of sitting. If coding in VR (standing) was an option… would you do it? I’ve had VR headsets going back to 2006. I had a DK2 before i got the Vive and I believed when I pre-ordered Vive that I wouldn’t have much interest in standing VR. My primary use was for flight sim. Turns out I really loved standing/room-scale. After decades of crappy seated gaming (pushing a mouse and pressing keys is something I wanted to get away from long before DK1 came along). BoxVR has become a regular app for exercise along with some of the wave shooters. As for coding in VR: Provided high resolution I would give it a try. But I also would like to try treadmill desks (without VR). yeah it would be a tough mix, sometimes my headset is flying off and on while other times im programming for vr and dont put the headset on for days. Odd, owning both VR and normal superhot I have little to no interest in Mind Control Delete outside of virtual reality such was it’s excellence. Still given that not even 2% of the user base have VR kit hopefully it will sell well enough such that I can just wait patiently for the VR release. I forget this was not originally built for vr but it is one of the most popular vr games,especially for all my guests who immediately and instantly redownload it to my pc and stay on it all the duration visiting my place. Luckily it’s funny to see people play in vr. Unfortunately not enough games have a spectator mode, like Job Simulator. I know it uses a lot of processing ressources but that might be necessary for VR to democratise. It gives headache to watch the pov of someone. Super Hot was fun and cool, but short. If extra content for it comes to VR I’m in, but it seems like a game that’s dull to play not in VR. From the wording it seems like VR support depends on whether or not the tiny 2d rectangle version flops. In other words.. if the game is crap then no VR. Seems like they don’t have much self-confidence in their next project.